With almost a year to plan and do research, my solo trip to Barcelona was one of the most off the beaten path trips ever. 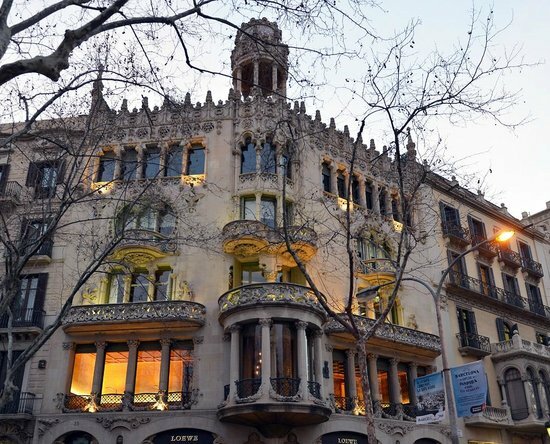 I love looking at architecture when traveling; in Barcelona, Antoni Gaudi and architecture go hand in hand. Even though I visited during the winter, the weather was beautiful and I had a great time exploring the city. From the visiting the Gothic Quarter to strolling down Passeig de Gràcia, the views around the city are breathtaking. 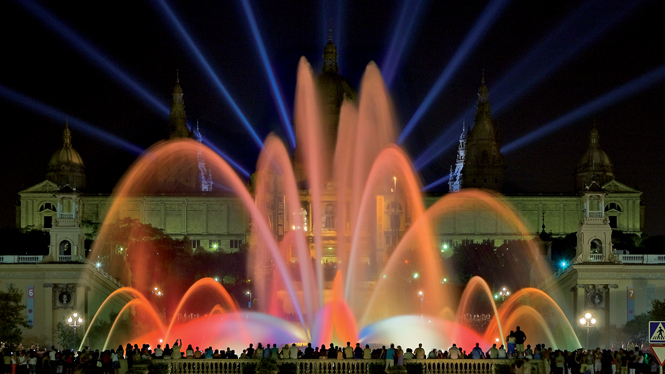 If you’re in the planning stages of your trip, here are ten must-see places and what to see in Barcelona in 3 days. A lot of the exploring during my 3 days in Barcelona was done via train. After purchasing a two-day Hola BCN travel card, I took the metro and walked to each site. Downloading an offline version of Google maps is a great way to get around the city if you don’t have Internet access on your phone. If needed, there was also free public WiFi available in the city center and other popular areas. Tours run dail every 30 minutes from 10.00 a.m. to 3.30 p.m.
Easter and July: from 10.00 a.m. to 6.00 p.m.
August: from 9.00 a.m. to 6.00 p.m.
Get there on time. Once the tour starts, you are not able to catch up. The Palau de la Música is still a current concert hall. On occasion, tourists are able to see a concert from the local choir. You can’t visit Barcelona and NOT see any of Antoni Gaudí’s work. Visit these sites on your own or book a walking tour with a guide. On my last day, I took the train to Montserrat and even took a hike up to Sant Jeroni. If you’re into hiking, seeing beautiful countryside views and learning a little more about the monastery, it’s a great experience. These all look really beautiful! Thanks for sharing. No problem. Hope it helped. Knowing some Spanish helps, but a lot of people in the main city do speak English. It’s a beautiful city. My aunt said she loved Barcelona so much and the flight was really good so I booked it. I didn’t realize that she loved it so much because she went to school for architecture. Very beautiful sites. I want to explore more of Europe especially the UK since I have family there and saw results from my ancestry DNA test. The architecture is so beautiful. You’ll love it. I envy all my friends (and now, you lol lol jk!) who’ve gotten to go to Barcelona! I had started making plans to go with a uni friend last year but life got in the way. It’s one of my dream places though! Sigh! So stunning! awww I hope you do get to visit. It is beautiful. I want to go back to visit the beach. Not a cool thing to do in the winter time.